Knowing who your customer is can change your marketing. Have you often wondered who you should sell to or even what they might want? I am sure many of us have pondered the question more than once. We are told to target our audience and you think, “I don’t care. I just want to sell to whoever will buy from me.” Pointless effort to try selling to people who have no interest in your product. If a potential customer gets lost during the selling process, they will assume the product is not for them. If you can’t make it about the customer and what they can relate to, your marketing plan is lost. They may be your ideal client but unless they understand the connection to what they want or think they want, you lose the sale. 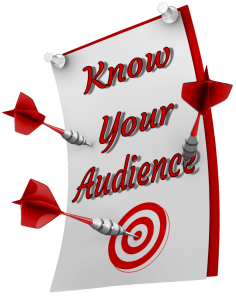 How you present your product or service is crucial if you are to make a sale. How you relate to your ideal customer in fulfilling their needs and desires will make the biggest impact if they buy from you. Your ideal customer is not interested in the features of your product. Even if your features are so important to the function and performance of the product. Sorry to say but your customer is only interested in the benefits. Benefits will persuade the art of buying. Will this product supply the customer with the right emotion? Will a desire or need be met? Only when a product fulfills the core emotions that drive the desire to own the product, will a person part with their money. A product is desired not because someone can’t live without it. But by having the product life might be easier or more rewarding. Whether it fulfills an image desire or an ease of doing a job or task more efficiently will be a factor in buying a product or service. You may think the features of your product are important and they could be. Once you convince your customer the benefits are what they are looking for, you can solidify the deal by presenting the features, which will justify the purchase. They may have tried a similar product and liked it. This is where the feature can be introduced. Maybe your product is made with metal fittings and not plastic this would be a convincing feature. Better manufactured parts in a product can justify a higher price tag. Features are important but benefits convince the customer to buy.